Can I Make My Life an ‘Ibaadah? What is the purpose of my life? Why was I created? What will happen once I am dead ? I have also tried to find answers to these questions in various ways and at different points in my life. Ultimately, only the Glorious Qur’an, the true light and guide for mankind, can resolve these questions for us. The Qur’an alone can provide us and has provided us with perfect answers to these questions that shall stay true and relevant till the end of time. In this context, Surah Yasin is a remarkable surah of the Qur’an that can really shake one up from within. 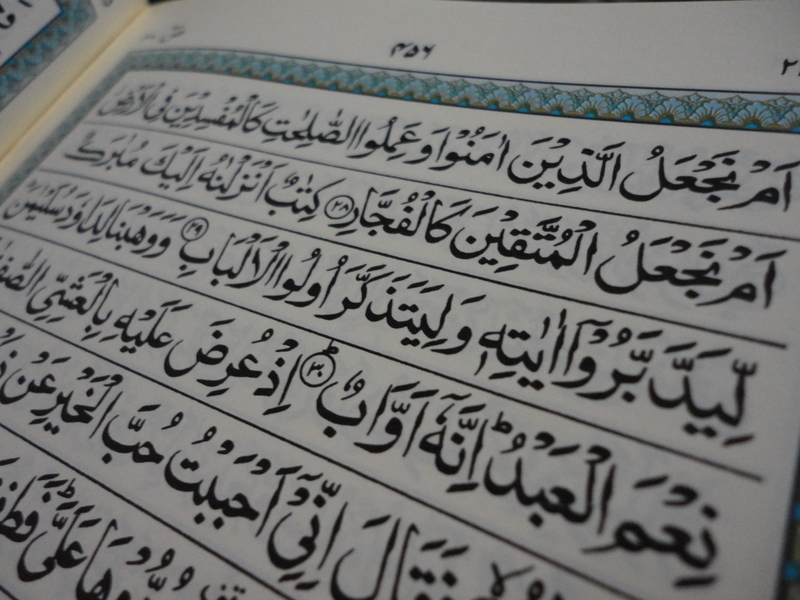 Surah Yasin maybe the most oft-recited surah. After going through the word by word translation, word analysis and fehm (understanding) of this surah, I have truly been able to appreciate the comprehensive message conveyed here. The concepts of Tawheed (monotheism), Eeman in the Akhira (Belief in the Hereafter), and ‘Ibaadah as the real purpose of life are now clear in my mind. Even though I claim to love Allah (سبحانه وتعالى) and His Prophet (صلي اللهُ عليهِ وسلم) and the Qur’an, not much of my life is actually being spent in true ‘Ibaadah. The majority of my day is consumed with worldly activities concerning my house, my children and my own pleasures. If I add up the time I spend in Salah, reciting the Qur’an and in the remembrance of Allah (سبحانه وتعالى), it will amount to a very small percentage of the day. Having said that, Alhamdulillah, the study of Qur’an has affected my heart and changed my attitude immensely. 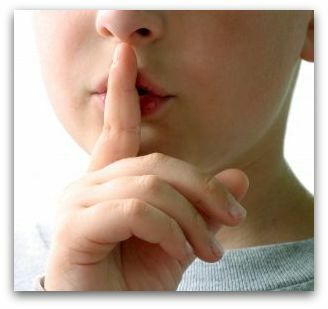 I hold back from many things that may displease Allah (سبحانه وتعالى), such as backbiting, anger and complaints. However, most areas of my life still need to be better aligned with the requirements of our deen (religion). The ayaat (verses) mentioned above clearly explain the purpose of our creation which is worship of the All Mighty Allah. 2.) Humility. We must fear Allah (سبحانه وتعالى) and make ourselves humble. Any good deed that we do can become an ‘ibaadah if we do it sincerely for Allah (سبحانه وتعالى)’s sake. I have to truly internalize these ayaat (verses) in order to change my life into ‘ibaadah. Every act from sleeping to eating, to dealing with my spouse has to be to please Allah (سبحانه وتعالى) foremost. The love of duniya and fear of people are two diseases that I must strive to remove within me, Insha’Allah. Five prayers a day are the first manifestation of true Eeman. I need to ask myself the following questions: What is the quality of my prayers? Can I perform each Salah as my last with complete concentration and humility? 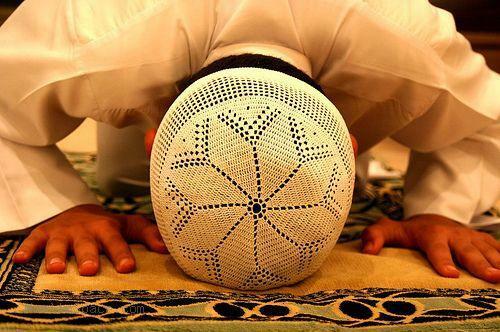 Is my salah truly presentable to the Lord of the Heavens and Earth? Can I spend more time on my ruku’ and sujud? 2. Qur’an Cannot be Left Even for a Day: I have had enough practical experiences to know that when I go away from the Qur’an I cannot handle my life properly and I forget about my Akhira. Even if it’s a verse in a day, I must not lose my connection with the Glorious Qur’an Insha’Allah. 3.Letting Go of What Takes Me Away from Allah (سبحانه وتعالى). Life is short and if some people or places are taking me away from the remembrance of Allah (سبحانه وتعالى), I must leave them. Instead,I should spend time with people who will help me with my mission of making my entire life ‘ibaadah. 4. Fearing Allah (سبحانه وتعالى) is an Entire Way of Life: Allah (سبحانه وتعالى) has blessed me and made me a student of the Qur’an. Qur’an gives us the Furqan (criterion) to differentiate right from wrong. I should use this blessing to my benefit and judge every action of mine. When I disagree with my mother, I can stay quiet rather than become rude because Allah (سبحانه وتعالى) will be pleased with this. Rather than arguing with my spouse, I could be patient for the sake of Allah (سبحانه وتعالى). I can suppress the urge to complain to someone about my kids and my servants as complaining is being ungrateful to my Rabb. I can follow the sunnah and not overeat. Also, I can make sure I sit whenever I drink water. I can refrain from being ostentatious and adopt simplicity as per the sunnah. I can make more effort and spend more in charity to get a bigger reward from Allah (سبحانه وتعالى). I can be polite to people, smile and say Salaam. I can forgive more often. 6. Adopt Humility and Let Go of the “Me, Myself and I” Attitude’. For all of the above this point is a pre-requisite. For years I have believed that life is to get the most out of it and it is all about seeking pleasure, relaxation and success. “You only live once!” Whereas, when you come to the Qur’an, you learn that these are perhaps small parts of life that can be done within limits but should not become or take you away from the main objective of existence. I, Insha’Allah aim to live up to the points mentioned above as much as I can. Humility and fear of Allah (سبحانه وتعالى) are the only things that can deliver me from the huge burden of sins that I have accumulated and the many wrongs that I continue to commit. May Allah (سبحانه وتعالى) help me retain the lessons I’ve learnt from Surah Yasin in my heart and through my amal (action). Ameen. This entry was posted in Reflections and tagged Adopting humillity, ibaadah, Islam is a way of life, Making Life an Ibaadah, Pleasing Allah (SWT), Purpose of Life, Surah Yasin. Bookmark the permalink. 3 Responses to Can I Make My Life an ‘Ibaadah? This reflection told us about different ways of ibaadat and different ways to please Allah and how we get His Mercy and Forgiveness. We should have a link to with the Quran and should act upon what is in the Quran. We learn another thing from this reflection that how we can please Allah and how we should live our life. We as Muslims try to keep deen separate from duniya. We are under the misconception that this is how we will be successful in life. We do not realize that being a Muslim requires complete submission like Ibrahim (AS). The goal is to make the entire an Ibaadah as is stated above in each and every way possible, At least we need to make an effort. inshallah. JKK for the write up. This makes me think about my own salah…especially when Samreen says ‘the Lord of the Heavens and the Earth’. We KNOW he is the Owner, Creator, Cherisher, Sustainer, Provider, Planner, Master….RABB! Ofcourse He is the King of all the universes, but is that something we realise while standing in salah? Do our legs shake in awe of His Magnificence as they probably would have if we were to go and visit a king of some country in the Dunya (getting dressed in the best and putting on our best behaviour)? The real problem just lies in the fact that we don’t truly believe that the angels of death will come to collect us any time starting now!